Elegant tool for MSG to PST Conversion! Along with MSG to PST, the MSG to PST converter software converts MSG files in more than six file formats. 1. Let’s with the conversion of MSG files to PST file format. Download and install the MSG to PST migrator software. Then software asks you to create the new collection. While creating the collection it asks you to provide the Title, Collection Path, and description. 2. In the next step, MSG to PST conversion tool ask you to select the MSG type from 14 files type available there for conversion.Then select the file mode: Single file mode: - for selecting the single file, Bulk mode: - for selecting the multiple MSG files at once. 3. After the completion of scanning process, the recursive listing of the file is done. Select the desirable MSG file for the conversion to PST file. Click on the Export button then Select the PST file format and provide the destination location where PST files save after the conversion process and Click Ok. I recently joined the new organization and want to migrate my all email (about 15000 single mail files) from the previous organization which contains all the necessary information about my banking services such as online banking password and other undisclosed personal files. So I desire to access it in my new organization without compromising the confidentiality of emails file and also maintains the formatting of the email such as header, cc, bcc, to and from information. What is the estimated time to convert the 15000 emails at once? Can I export it directly to Outlook? Is the file structure sustains while converting? Supports attachments conversion also with the email file? Is there any possibility to repair corrupt file? There is always challenges and issues appears when converting or migrating one file format to other. It is the very complicated process to convert a large amount of single mail files to different file format maintaining the file structure and retains the metadata information as well. This types of issues are no longer exist when one uses the professionally built MSG to PST converter tool. It is the keygen product which contains all the essential features to convert the MSG file to PST files in bulk.It maintains the folder hierarchy of MSG files while converting to PST files. Is Outlook Installation is required to convert the MSG files to PST file format? No, outlook installation is not required by the MSG to PST file converter tool. If you want to preview the MSG files then you required the Outlook. How many MSG files can be converted to PST file at once? There is no file size limitation. You can as much as the file you can select at once. The MSG to PST converter tool is tested with 25000 MSG email files at the same time. The resultant PST is in the Unicode file format which is supported by all outlook version up to 2002. Glad to have such a nice software which converts the enormous amount of MSG file to PST file format harmlessly. I used MSG to PST conversion tool which recklessly converts all of my msg files to pst and saves my valuable time. 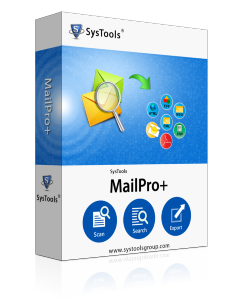 The interface of the tool is so easy that person with the non-technical background can easily operate it. .
MSG file is the single file created by drag and drop of each mail at a time. As a result of which a large number of single MSG files created on the local machine. Extra space is needed to store such large number files. Managing the huge amount of emails is the very difficult task and requires sophisticated care and attention where as PST is the personal storage file which stores the data up to 20GB and can be increased using registry editor. PST file is the default file format of outlook. PST file format provides the portability and security also.